IRS has extended the due date for employers to mail recipient copies of ACA forms (Form 1095-B and Form 1095-C) to employees until March 4, 2019. IRS through its Notice 2018-94 extended this deadline. Prior to this notice, the due date was January 31, 2019. This comes as a little bit of relief for the employers struggling to file the health care forms 1095-B and 1099-C in a timely manner. Many employers have complaints that the tight deadline has put the employers at a disadvantage. They find it difficult to meet the deadlines. Now with the extension to file ACA forms employers get extra 30 days to prepare and file their forms. 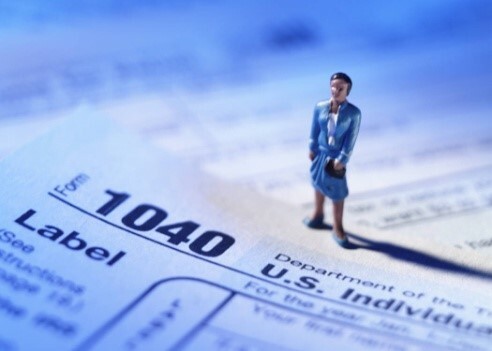 It is important to note that the due date to e-file the 1095-B and 1095-C has not changed and employers must e-file their forms with the IRS by March 31, 2019. OnlineFileTaxes.com remains committed to providing an exceptional service to its clients in filing ACA forms 1095-B and 1095-C in a timely fashion. This entry was posted in General on December 8, 2018 by Smita S.
Being a CPA presents a unique set of challenges, much like other professions. During certain times of the year, the duties of a CPA increase exponentially. Tax time is so often stressful for clients, and more often than not, a great deal of that stress is filtered down to the CPA. Time is against most of us, there’s no denying it. There never seems to be enough hours in the day to get everything done that we need to accomplish. During tax season, if you’re a CPA, chances are you need almost double the amount of hours to get everything finished. Add in a reliance on technology and staff members, and things can start to get dicey in a hurry. Think about it this way, if one member of your office were to slow down, miss a day, or a computer were to break down, what effect would that have on your workflow? On top of dealing with increasing workload, potential technology failures, and unreliable staff CPAs still have clients to deal with. Some clients expect their CPA to have all the answers, and have those answers immediately. Clients want more and more, but want to pay less and less. CPA firms, in turn, have no choice but to lower their prices to compete with other services and then have to hire less staff. With less staff, workload increases, and a CPA ends up bogged down in their duties. At Online Files Taxes, we specialize in helping CPAs find enjoyment in their job again. We have a streamlined system that allows you to easily and painlessly e-file hundreds of forms at a time. We cut out the tedious steps of filing, mailing, etc. and allow you to get back to focusing on your clients. Check out our website for more information about easing your workload! This entry was posted in For CPAs, General and tagged 1098, 1099-DIV, 1099-INt, 1099-MISC, accountant, CPA, cpa challenges, efile 1099, file 1098, file 1099-DIV, file 1099-INT, file 1099-MISC, file 1099s online, file W-2, LinkedIn groups, online file taxes, small business taxes, tax groups, tax referrals, W-2 on March 12, 2014 by Smita S.
Every year we see hundreds of commercials promising simple tax preparation. Yet, many say the process has not been simplified. It’s still complicated and time consuming. With the looming January 31 deadline for filing W-2s and 1099s, tax preparation software is in review by professionals to evaluate ease of use. According to tax preparation professionals, the best programs feature the ability to mail copies of forms straight to employees. They also tout the benefits of everyone’s main concern – accuracy. E-filing is considered to be far more accurate than the standard paper filing option. As a business owner, you still have the option to file W-2s and 1099s by hand, but the potential for mistakes increases greatly. Reviewers of 2012 tax software found it rife with problems that caused for a great deal of hassle in software preparation specialists systems. The software also did not allow for business owners to file prior to January 30, causing great inconvenience to businesses across the country. One system that allows for ease of use is the system offered at OnlineFileTaxes.com. Business owners can effortlessly file thousands of forms with no complications and can eliminate the need to purchase complicated or expensive tax preparation software. This service also features a print and mail option. We offer the most economical and efficient way to e-file your tax forms. Check out our website for more details. This entry was posted in General and tagged 1098, 1098-T, 1099-DIV, 1099-INt, 1099-MISC, accountant, CPA, efile, efile taxes, efiling, file 1098, file 1099-DIV, file 1099-INT, file 1099-MISC, file W-2, online file taxes, small business taxes, Tax software, W-2 on November 27, 2013 by Smita S.
If you’re over the age of 16 and working, then you most likely already know what a W-2 is, but do you know all of the rules and regulations behind them? Do you know what’s new as of 2013? As an employer, are you aware of the deadlines for filing and getting W-2’s to your employees? No worries, we can help simplify the process! If you’re an employer, you owe a W-2 to any employee who earned over $600 while working for you. As an employer it is recommended that you e-file your W-2s for more accurate and faster information. If you’ve got more than 150 employees that require a W-2 from your company, you are required to e-file. We can help! As an employer, it is also important that you know the changes made to the W-2 as of January 2013. There was a limit placed on the amount of flex spending contributions that an employee could make pre-tax. There was also an increase in the Medicare tax withholding amount for any employee that makes in excess of $200K during the year. The IRS has strict penalties for employers that do not meet the deadline for filing W-2s or file incorrect W-2s. Penalties start at $30 per W-2 for large businesses. Fines are applicable for small businesses as well, but can be avoided in both cases by filing for a 30 day extension. If you’re an employee, your employer must have a copy of your W-2 mailed to you by the end of January for your tax filing purposes. Should your employer fail to meet this deadline, the IRS penalizes your employer for their neglect. As always, we are here to help. Don’t let the hassle of late filing effect your bottom line. Be sure to E-file your W-2 with us and allow us to e-file the federal copy, mail the recipient copy, and create a PDF form of the payer copy! This entry was posted in W-2 and tagged 1098, 1098-T, 1099-INt, 1099-MISC, accountant, CPA, efile, efile taxes, efiling, file 1098, file 1099-DIV, file 1099-INT, file 1099-MISC, file W-2, online file taxes, small business taxes, W-2, w-2 changes on October 2, 2013 by Smita S.
How much time do you spend yearly trying to figure out complicated IRS 1099 forms to complete and file your taxes? Does it seem like it takes more time every single year because the 1099 forms change? After all that, you still have the hassle of shoving those 1099 forms into an envelope and mailing them, and you don’t get confirmation that your return was received until you get your refund or receive word that you’ve made a mistake. There’s an easier way! E-Filing is a way for tax payers to file their 1099 forms in a quick and safe manner and eliminates all the pesky forms associated with traditional paper filing. No more worries about postage or waiting in line to mail your return. The internet may seem intimidating, but it’s no more intimidating than filling out numerous forms and stressing over whether or not you’ve forgotten something. E-filing 1099 forms (in general and e-filing 1099-MISC form in particular) is often more accurate than filing a paper return, because most of the time the online program you’re using for your return will alert you if you’ve made mistakes or omitted something. It’s also easier, as the majority of the programs will walk you through filing step by step and ask questions to ensure you’re getting the best return possible. Not only is e-filing easier, but it’s also quite cost effective. 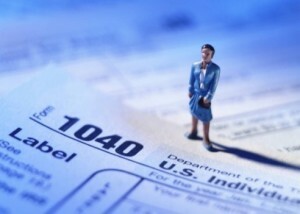 Most tax filing companies charge only minimal fees for this service. Nine times out of ten, it’s faster and easier to finish your tax return and get back to your life. Electronically filing your taxes also eliminates the need to know the most current tax rules, because the programs are designed to know all the new information for the current tax year. Not having to be an amateur accountant when filing your return is definitely worth any cost incurred from e-filing 1099 forms. Another important feature of e-filing is that most often the e-file provider mails out a paper copy to your recipients, thus eliminating the hassle of doing it yourself.So when looking to e-file your 1099 and 1098 forms, look no further than our website. We offer competitive pricing and convenience! 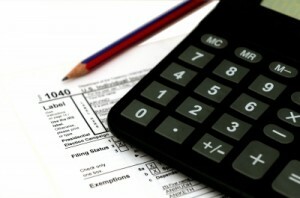 Onlinefiletaxes.com offers the most cost effective way to efile your 1099, 1098 and W-2 forms. This entry was posted in General and tagged 1098, 1099-DIV, 1099-INt, 1099-MISC, accountant, CPA, efile, efile taxes, efiling, file 1098, file 1099-DIV, file 1099-INT, file 1099-MISC, file W-2, online file taxes, seasonal employees, small business taxes, W-2 on August 21, 2013 by Smita S.
In our last blog, we reviewed the differences between an independent contractor and a standard employee. In this blog you will learn which type best suits your needs. You’re a small business owner and you’ve become quite successful. You have a small staff that is already working full-or part-time, but you’ve got some small specialized tasks that need accomplished. Your secretary is available to finish what needs to be done, but you also realize she is not particularly creative. At this point, you know it isn’t exactly fiscally responsible to hire another employee, but you need some more help. It sounds like you may need an independent contractor. Basically, an independent contractor comes into your company when you have a finite amount of work that needs to be finished. You may also have budget constraints that make hiring another employee impossible. With an IC, they are typically paid by the job and on a short term basis, so most of the time you don’t pay high insurance premiums for them. Another advantage to the IC is that they typically supply their own tools. There’s very little need to supply office space, supplies, or utilities. Also, an IC is responsible for his own tax liability thus alleviating the necessity of filing extensive forms with the IRS. Essentially, an IC is brought into a company when there is specialized work that needs to be done and the amount of work does not justify bringing on another employee. An employee is brought on when the workload has become too much for the company, the budget allows for it, and the amount of work will be ongoing. If you expect the boom in business to be temporary, then a seasonal employee sounds like it may be a good fit. However, if you have some press releases that need written, or a new blurb written for your advertisements, an independent contractor is most likely going to be the right fit for your business. 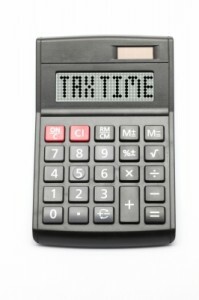 As always, consult with an accountant or a tax attorney before making any tax decisions for your company. For any independent contractors in need of 1099 assistance, please contact us! Just as for your employees you need to report salary paid on Form W-2, for contractors you will need to file form 1099-MISC to report payments made during the year. 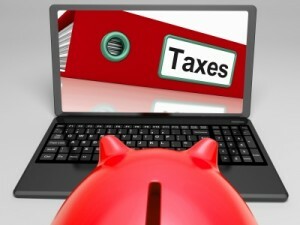 Use OnlineFileTaxes.com for all your 1099, 1098, or W-2 filing needs. This entry was posted in General and tagged 1098, 1099-DIV, 1099-INt, 1099-MISC, accountant, CPA, efile, efile taxes, efiling, file 1098, file 1099-DIV, file 1099-INT, file 1099-MISC, file W-2, online file taxes, seasonal employees, small business taxes, W-2 on August 7, 2013 by Smita S.
Your business is up and running and you’re finding yourself getting busy. You know you need morehelp, but you’re unsure if you want to hire an employee or bring in an independent contractor. You might also be wondering the difference between the two. It’s very important to discern the status of these workers as that status makes all the difference for your company and your taxes. We’ve compiled a list of the primary differences between the two and have listed them here for your reference. We hope you find it helpful as you decide which is best for your business. By law, you’re required to withhold taxes for an employee. These include Social Security and Medicare taxes as well as the unemployment taxes you’ll need to pay for an employee. There are no such requirements for an independent contractor. An employee is obligated to follow the rules of the company about when they work, how they work, and where they work. An independent contractor provides a service but is given little instruction about how or where to work. An employee rarely has the opportunity to hire people to work under him if the workload is too intensive, where as an independent contractor has that ability. An employee is typically paid an hourly wage or a salary with a specified pay schedule. An independent contractor is paid for the service he provides in a lump sum. For an employee to travel or go above and beyond normal duties, you, as the employer must reimburse the employee for mileage or travel expenses. An independent contractor incurs their own expenses as those are typically built into the fees for the project. Unless otherwise approved by you, an employee typically works only for you. An independent contractor may work for many different people and/or businesses. For an employee, the employer is required to provide the equipment needed to get fulfill the job duties whereas independent contractors provide their own equipment. Hiring an employee or an independent contractor comes down to a matter of preference. And there are many nuances to each of these factors. We recommend consulting an attorney for specific legal advice and guidance before proceeding. Should you decide on independent contractor, be sure to check out the services we offer for filing the required tax documentation – a 1099. If you’ve got a business operating on limited hours, then chances are you’ll need to hire a seasonal employee. Before you hire, make sure you’re educated! You don’t want to hire someone and have to redo all of the paperwork or be responsible for the taxes you didn’t take out. Here are some tips and tricks to help you out when tax seasons rolls around again. 1. Make all employees responsible for filling out the proper tax forms for their type of employment. If you have questions, the IRS and DOL have incredibly user friendly websites that can help you determine what forms you will need for each type of potential hire. 2. Seasonal is a time limit, not necessarily an employment status. Seasonal employees are able to work full time hours. You are able to utilize your seasonal staff for full time labor, as long as you comply with labor laws. 3. Within the Department of Labor, seasonal employees have the same rights as regular employees. You are still subject to wage laws with a seasonal employee. You don’t want to be responsible for an unfair workplace violation due to mistreatment of a seasonal employee. 4. Know the difference between a seasonal employee and an independent contractor. A seasonal employee is one who is hired into your company on a seasonal basis, for example: spring harvest season or the end of year holidays. An independent contractor is someone who works as needed for a company under terms specified in a contract or agreement. 5. Ensure that your seasonal hire is not surprised by the termination of their position at the end of their season. Avoid the snafu of wrongful termination by supplying your seasonal employee with clear cut terms and conditions regarding the basis of their hiring within your company. All too often, companies can fall victim to tax complications as a result of hiring seasonal employees. Before hiring, do your research using all of the options afforded to you including the IRS and DOL websites. Don’t get caught up in complicated legal battles and owing taxes for employees that you under-taxed. As always the best offense is a good defense. Know your rights and know the rights of your employees. Make sure that you issue a form 1099-MISC at the end of the year to all your contractors, just like you would issue a W-2 to all your employees. When it comes to tax time, contact us for assistance with your e-filing tax needs. This entry was posted in General and tagged 1098, 1099-DIV, 1099-INt, 1099-MISC, accountant, CPA, efile taxes, file 1098, file 1099-DIV, file 1099-INT, file 1099-MISC, file W-2, online file taxes, seasonal employees, small business taxes, W-2 on July 10, 2013 by Smita S.
Almost all businesses will only have to worry about the most common 1099, the 1099-MISC. This form will be used for the most part to pay for labor and services by small businesses, independent contractors, doctors or health clinics. Corporations are for the most part exempt from this, except for legal and medical corporations. You also must file a 1099 form for any monies paid to an attorney or crew members of a fishing vessel. Payouts of substitute dividends, royalties or tax-exempt interest will also demand a 1099, as well as the sale of products for resale worth $5000 or more to a retailer who does not have a permanent establishment. The forms must be filed by February 28th in 2013. This date usually falls in the last week of February if you are filing by paper, and 30 days later if filing electronically. The electronic filing date for 2013 falls on April 1, 2013. You will need the Social Security Number or the TIN of the business with whom you are filling to form out to. Many small business owners use their SSN, so don’t be surprised if that happens. The TIN is a federal Tax Identification Number. The 1099 form is the way the government is trying to track income which had been very hard to trace previously, and while there is some extra paperwork, the reporting data is not that hard to adhere to. Online File Taxes can help you with every aspect of your 1099 situation, and help you to make sure that you file the correct 1099 and that their reporting is accurate. The letter designation behind the 1099 usually gives a clue as to what the form is for. 1099-INT, for instance, is issued by banks and other financial institutions to show how much interest income you’ve had – for instance, from a CD. If you are forgiving, or canceling a loan, you will issue a 1099-C whether or not the person who had the loan can count that as income. The 1099-S deals with the sale of real estate, while a 1099-DIV deals with dividend income. Also, as you draw money out of a retirement or pension plan, a 1099-R will be issued so that the taxes can be paid on the money drawn out. The 1099 form, if used properly can be a good thing to your taxes – it is a much more reliable form of record keeping for expensing purposes. The penalties can be stiff, but if you are keeping decent records the 1099 reporting requirements will not add a huge amount of effort to your tax routine. Online File Taxes can make sure that all your 1099 requirements are being met, and can do it in paper or e-filing form. Remember, if you have over 250 1099 forms, you must file them electronically. Go to our website now to see how we can help you with the new 1099 requirements, and any tax service you may need! This entry was posted in 1099, 1098, and W-2 related articles and tagged 1098, 1098-Ma, 1098-T, 1099-B, 1099-C, 1099-INt, 1099-MISC, 1099-R, 1099-S on June 8, 2013 by Smita S.
1099 forms are becoming the method of payment for a growing number of people acting as independent contractors and small businesses. Any company or individual with whom you do over $600 must be issued a 1099. This includes payments for rent or any service a contractor, consultant or expert provides. Professional fees are included in this requirement. These would include doctors, lawyers or other professionals. Payments to corporations are excluded only if they are not involved in supplying you with medical and health care, legal services or fishing activities. These forms must legally be filed whether or not you are going to declare the money as expenses, and the forms must be filed if you are a business or a nonprofit organization. Typically, form 1099s must be filed in the last week of February, and if filing electronically about 30 days later. In 2013, the current year, the exact dates are February 28 if filing by paper and April 1 2013 if filing electronically. If you are filing over 250 1099s, the federal government requires that they be filed electronically. Extensions can be easily obtained using form 8809. You can file it in paper form or over the internet, but if you have more than 10 1099s that you are extending you must file this form electronically. The extensions must be posted before the regular due date, and extend the period by 30 days. There is recourse if you have lost the information through no fault of your own, such as fire or flood, but you will have to be able to prove how you lost the information. The penalties can quickly become a major liability to businesses, and can occur for one of two reasons. The first occurs when you are filing the forms after the due date, or after the extended due date. If it is less than 30 days past due, the penalty is $30/form that it is late, with a maximum penalty of $250,000 ($75,000 for small business). The rate climbs to $60/form if it is more than 30 days late but is filed before August 1st. The last and highest rate includes anything filed after the 1st of August, and assigns a $100 penalty per form. The cap on total penalties at the highest end is $1.5 million, and $500,000 for small businesses. 1099 penalties can quickly accumulate. If you enter incorrect information on the 1099 forms, the highest penalty level will be used of $100/form, but if you intentionally disregard the filing requirements or intentionally enter false information the penalties start at $250/1099 form, with no maximum limit. Online file taxes can easily guide you through the 1099 process, and make sure that you are using the correct 1099 forms. In almost all cases that will be the 1099-MISC, but there are some specialty applications that call for other 1099 forms, such as the 1099-INT, the 1099-B and others. Keep good records, and there is no need to worry about your 1099s – and Online File Taxes is here to help when you need it! This entry was posted in 1099, 1098, and W-2 related articles and tagged 1099 filing late, 1099 Penalty, 1099-MISC, avoid 1099 penalty, due date for 1099, Form 1099 on May 28, 2013 by Smita S.